My daughter wrecked her van and we didn't know what to do with it. After calling around, we found Randy. He's great to work with, offers top dollar and is quick to pick up the vehicle. Thanks, Randy, for your help and great service! 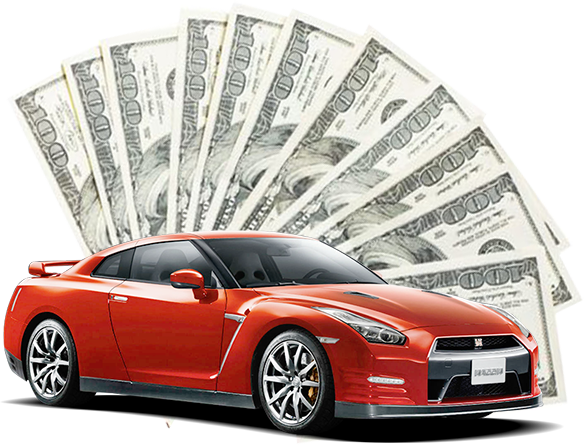 I had a great experience with cash for cars! They were very professional and flexible! I called several companies to get rid of my old car that hadn't ran in years. Cash for cars gave me the best quote and put cash in my pocket the same day! I would recommend this company for anyone who needs to get rid of an old clunker any day! Very pleased with the service of cash for cars. My daughter wrecked our car. I called them they asked me a few questions about the vehicle and asked if they could come look at the vehicle to give me a better quote. When they showed up we talked for a few minutes while he looked at the car he ask if my daughter was doing okay after the wreck. He made an offer for my wrecked vehicle. I was very surprised with what he was willing to pay me. He gave me cash for it before he left and scheduled a time with me for a tow truck to come pick it up. Great company, I called around to a few other companies trying to figure out what my non running vehicle was worth. When I called cash for cars they wanted to set up a time to meet with me. They worked with my busy schedule. Came out to look at my car offered me a good price for my vehicle paid me in cash right there. Very great service. Thank you for not trying to take advantage of me for being a female. After wrecking my vehicle I had it towed to my apartment to call around to figure out what it was going to cost me to get it repaired. I figured out that it was going to be more than I wanted to spend to get it drive able again. I started calling around and had a lot of low ball offers for others to buy my vehicle. When I called cash for cars I was surprised that they wanted to see the vehicle first before letting me know what my vehicle was worth. When they came to look at my vehicle they gave me a quot higher than the other companies that I had called. They paid me in cash and had it towed away. Very pleased with the service of this company. When they came out they were friendly looked at my car and gave me a reasonable offer on my vehicle and had the car towed away.